There’s new evidence to remind us that nothing much changes: we are still baffled by our DIY retirement system. First, saving must start at a young age, when retirement is an abstraction. Saving is further stymied by two big questions: how much to save and how to invest it? It’s also smart to anticipate how one’s compensation arc might affect Social Security – taking into account, for example, that women withdraw temporarily from the labor force to have children and that earnings can decline when workers hit their 50s. As we fly past middle age and retirement appears on the horizon, it’s a little late to figure this retirement thing out. And there’s no plan for long-term care when we’re very old. Being in the dark now about how much to save is a cousin of being afraid of running out of money later, in retirement. More than 70 percent of accountants say this fear of running out is their clients’ top concern – followed by whether they can maintain their current lifestyle and afford medical care in retirement – according to the American Institute of Certified Public Accountants. Our inclination to avoid difficult issues does not go away with age. Yes, we’ve gotten wiser, but advanced old age means death, and who wants to think about that? The upshot: seven in 10 adults have not planned for their own long-term care needs in the future, Northwestern Mutual reports. Even among a smaller group who anticipate having to take care of an elderly parent, one in three of them “have taken no steps to plan” for their own care. “You would think that would prompt them to action,” said Kamilah Williams-Kemp, Northwestern’s vice president of long-term care. And while the constant barrage of news and statistics is making Americans more aware of their rising longevity, Williams-Kemp said, caregivers are often more interested in talking about their emotional and physical challenges and the rewards of caregiving than about its substantial financial toll. There is a “disconnect between general awareness and prompting people to take action,” she said. The potential for dementia or diminished capacity late in life isn’t on our radar either, the survey of CPAs found: the vast majority of people either choose to ignore the issue, wait and react to it, or are confused. Stark differences are emerging in the ways that workers, depending on how much they earn, are using the medical services covered by their employer health plans. While higher-income workers gravitate toward preventive and maintenance care, lower-wage workers visit emergency rooms far more often, according to a study published last month in Health Affairs. The researchers pointed to one major culprit: a 67 percent increase in average deductibles for employer health plans since 2010. Employers usually offer the same health plans to all their employees. But the growing prevalence of high-deductible plans could be making making some low-wage workers think twice before seeing a doctor if they’ll have to pay the entire bill because they haven’t hit their yearly deductibles yet. Health insurance premiums and other out-of-pocket medical costs in high-deductible plans together consumed about 21 percent of pretax earnings for the low-wage workers studied. Many of these workers, apparently trying to contain their out-of-pocket costs, might “avoid or delay health care services, despite having coverage,” said the researchers. They analyzed four employers that covered some 43,000 workers through a common private health insurance exchange in 2014. The researchers adjusted the data so they could compare the employees, controlling for, among other things, health insurance plan design, deductible levels, employee characteristics, and the size of their households. An analysis of insurance claims data found that lower-paid workers were more likely to see a doctor after medical problems develop, while higher-paid workers were more diligent about preventing problems. For example, workers in the top two wage categories ($44,000-$70,000 and over $70,001) received preventive care during visits to the doctor’s office far more often than workers earning under $30,000. Screenings for breast, cervical and colon cancer were also more frequent among high-paid employees, who also adhered more closely to the drug regimens prescribed by their doctors. Not surprisingly, hospital admission rates for lower-wage workers were nearly double the rates of the highest-paid workers – and four times higher for avoidable medical problems that landed them in the hospital. Low-paid workers visited emergency rooms about three times more often. The CFPB just followed up with a missive directed at some 7 million older Americans enrolled in the Qualified Medicare Beneficiary Program (QMB). 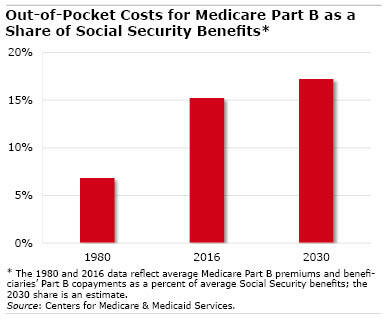 People who qualify for this Medicare designation receive such small Social Security checks – less than $1,010 per month for individuals and $1,355 for couples – that doctors, hospitals and other medical providers are barred from billing them directly for services rendered. The CFPB said that it, as well as the Centers for Medicare & Medicaid Services, continue to hear from QMB participants who report they are receiving unjustified medical bills. Prevent the problem by repeatedly reminding your doctor or medical service provider that you are a Qualified Medicare Beneficiary. 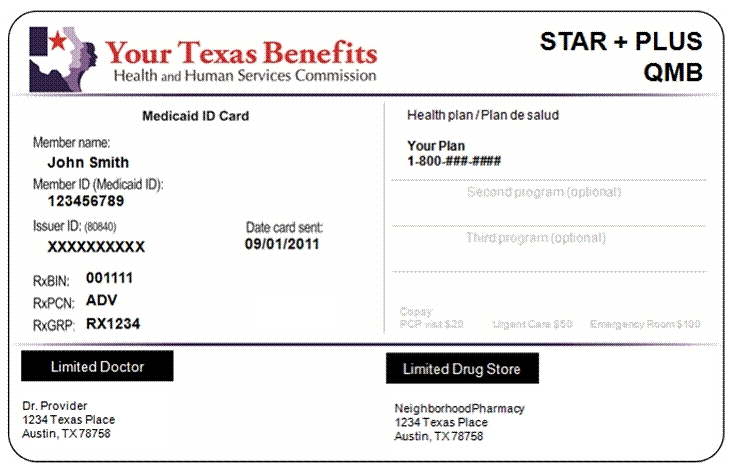 QMB cards aren’t required federally but the District of Columbia and at least one state, Texas, provide members with a card to prove it. If you are billed, tell the medical provider or debt collector they are barred from charging you for Medicare deductibles, coinsurance and copayments, because you are enrolled in QMB. You have a right to a refund for a bill paid in error. If the medical provider will not stop billing you or refuses to issue a refund, call 1-800-Medicare (1-800-633-4227). Nearly half of the low-income residents in some sections of Louisville are delinquent on their city water bills. In Newark, water customers’ unpaid balances have been known to reach $4,000. The shutoff and reactivation fees that some cities charge when they stop a customer’s water service create another problem in places like Houston: they add to the unpaid balances of customers who are already struggling financially. 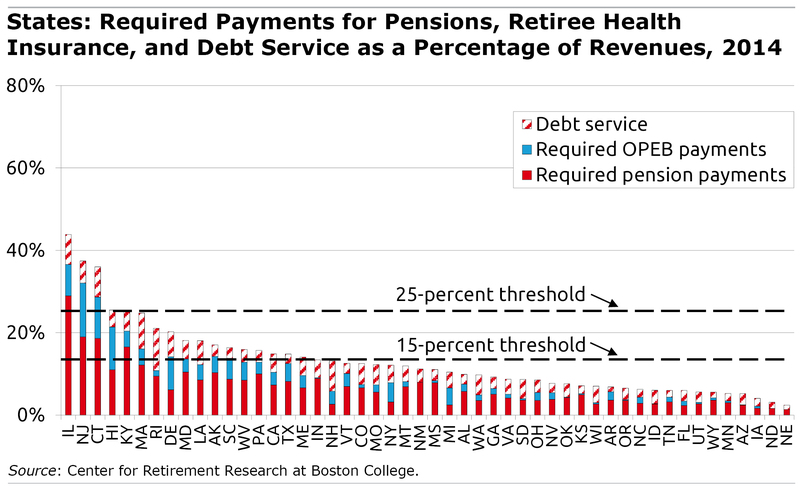 Cities are also becoming more aggressive about collecting on their debts, hiring third-party collection firms. Researchers and the National League of Cities tried an alternative in the form of an ambitious pilot program involving five city water departments: Houston; Louisville, Kentucky; Newark, New Jersey; Savannah, Georgia; and St. Petersburg, Florida. Driving the program was the recognition that unpaid water bills are an indication of deep financial distress. So the cities, which are loathe to turn off this essential service, embraced a broader vision: providing financial counseling to empower families with delinquent water bills to better manage their situations. While every city’s pilot program was slightly different, Ohio State researcher Stephanie Moulton said they had two things in common: an agreement to restructure residents’ unpaid water bills to make them affordable, and at least one private session with a financial counselor or coach already working for the city or a local non-profit. Some cities added other services, such as screening for public benefits if a job loss had caused a resident to fall behind on the water bill. Houston, for example, trained and certified six customer service representatives in its Department of Public Works to act as financial coaches, said Bonnie Ashcroft, a departmental section chief. The counselors who coached clients on their household finances also advised them on how to reduce their water bills. Most of the 1,000 people who took the financial well-being quiz posted here last year felt content with their situations. Their well-being score averaged 16.4 out of 20 points possible on the quiz. This happy response completely conflicts with a statistically more reliable survey showing that three out of four Americans report feeling “financially stressed.” Our quiz makes no claim of representing the adult U.S. population and was taken by a hodgepodge of regular readers, Twitter followers and Facebook friends. So why are Squared Away loyalists so content with their finances? The blog is “attracting people who are in the action phase. I’m guessing they’re motivated and ready to move,” said Brad Klontz, a financial psychologist in Hawaii – he is both a certified financial planner and trained psychologist. But the flip side of this is that those who do not seek out financial information and advice – and don’t take blog quizzes – are often “in total denial, and you’re probably not going to catch them,” he said. Indeed, Klontz’s research has identified avoiding dealing with difficult money issues as among the unconscious behaviors that ensnare people who are in poor financial health, measured by being overloaded with debt or not saving for retirement. When people with money problems recognize the psychological underpinnings, he said, it can lead to changes that can end the pain.